Make and impact, complement your home and create the perfect first impression with a stunning uPVC front door. 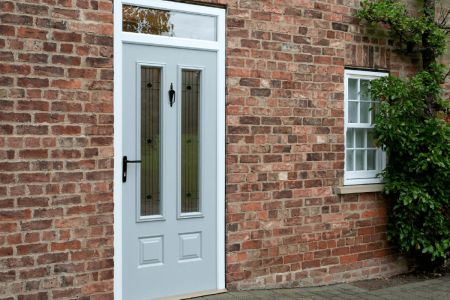 There are a multitude of uPVC front door panels to choose from which are all available in a comprehensive selection of colours, styles and designs in order to match the look of your property. 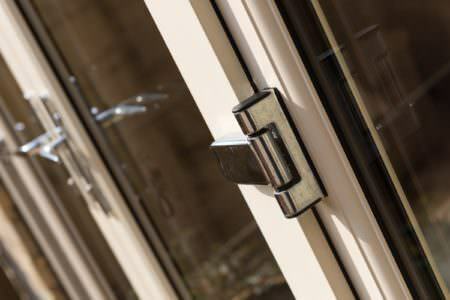 uPVC Front Door locks provide a high level of security. 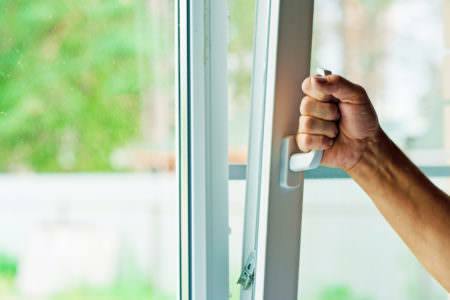 The majority of uPVC Front Doors are anti-crowbar, allowing your home to be safe from any break ins. There are lots of ways of customising your front door with a range of furniture options including: spyholes, letterplates, knockers, numerals, keychains and handles. Choose between different door handles depending on how you which to secure and access your home. Lever Pads lock the door when closed whereas lever / lever handles require you to lock the door. 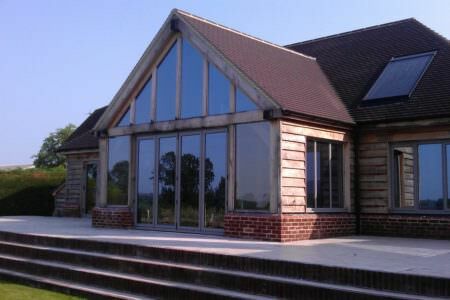 There are a variety of glass options to further customise the look of your front door. From obscured and patterned glass available in a range of designs to georgian and leaded glass; there is plenty to choose from. 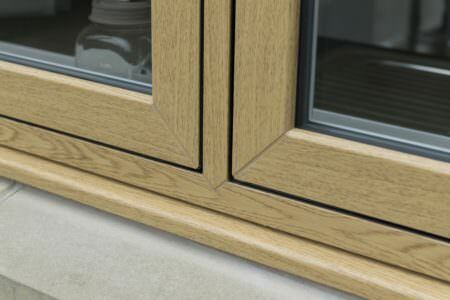 Threshold Sills prevent rain and draughts getting into the house under the door. 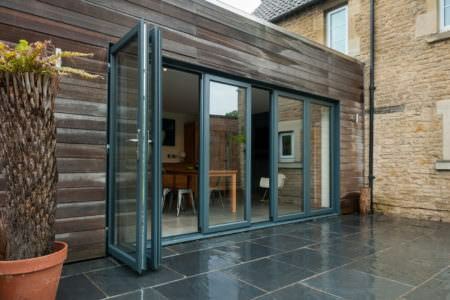 Low level aluminium thresholds can also be installed for easy wheelchair access. 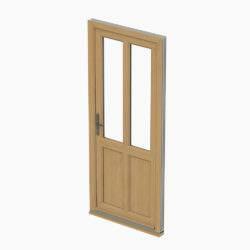 Due to their strength, uPVC Front Doors are extremely durable. They will not rot, warp or fade unlike their wooden counterparts. 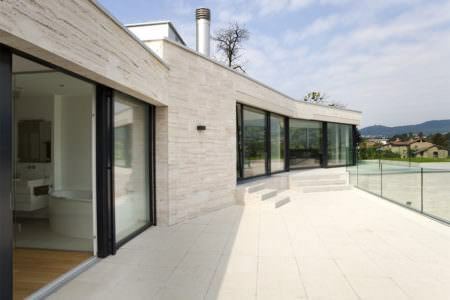 These doors are very energy efficient preventing valuable heat from escaping your home. 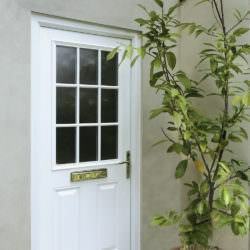 uPVC Front Doors also protect your home from damp and cold air, virtually eliminating draughts. 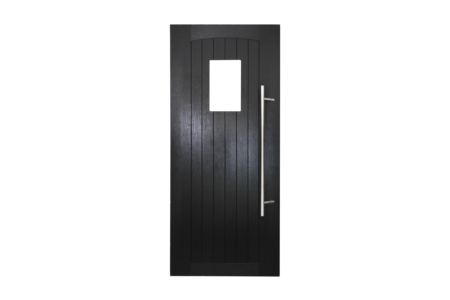 You are sure to find a style of front door to suit you! With so many different colours and designs available, there is a uPVC Front Door for every style of property. 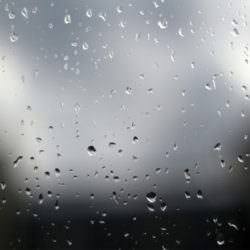 No matter the weather, uPVC front doors are weather resistant and highly effective at keeping your home warm, safe and secure. 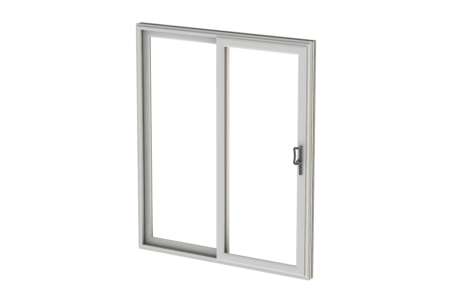 uPVC Doors are excellent insulators of noise, and will help keep out those outside sounds. 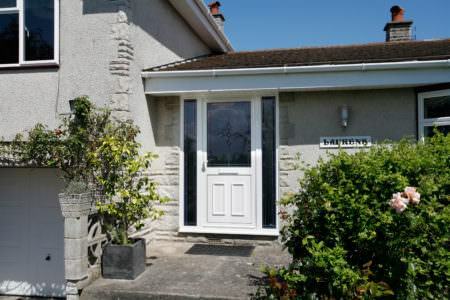 These doors are an excellent choice if you happen to live beside a busy main road or school. 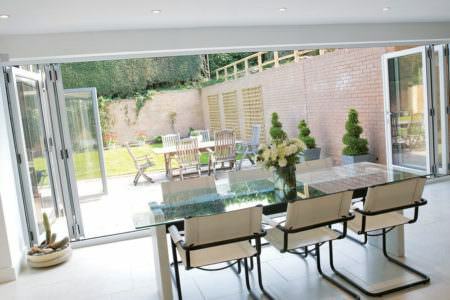 Perfect if you happen to lead a busy lifestyle, these uPVC doors a very low maintenance – only requiring an occasional wipe clean! 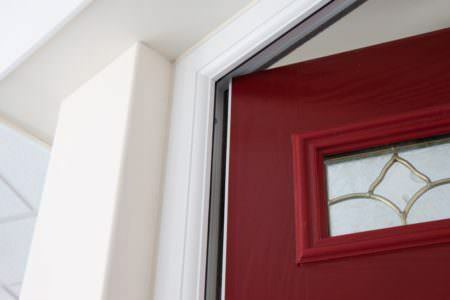 Make an impact and create the perfect first impression with a stunning uPVC front door. 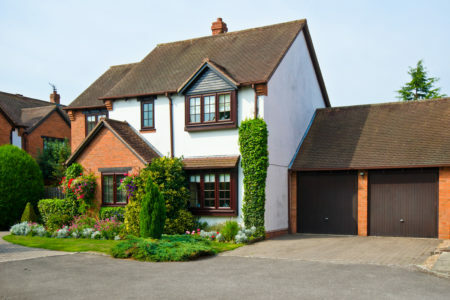 As the focal point of your property, your front door comes under the judging eye of both visitors and buyers. Maintaining appearances may be trivial but when it comes to selling your home, a beautiful front door will add lots of value. uPVC front doors come in a wide range of designs and colours so that you can achieve the perfect look for your property. 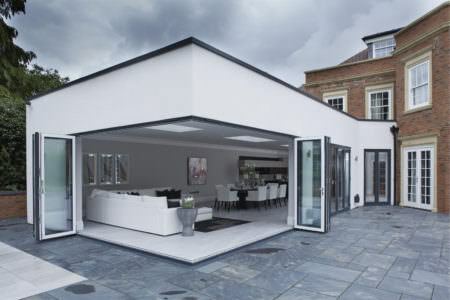 From classic designs to more contemporary styles, you will be spoilt for choice from your installer. Colours such as White, Black and Navy Blue can all help to create a smart and sophisticated impression whilst woodgrain finishes can maintain a traditional look. 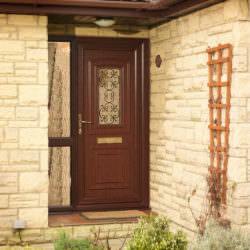 A choice of stylish fixtures, fittings, knockers and letterboxes can complete the look of your entrance door. Security is obviously paramount when it comes to the entrance of your property. Your location may even have bearing on your choice for a new front door. 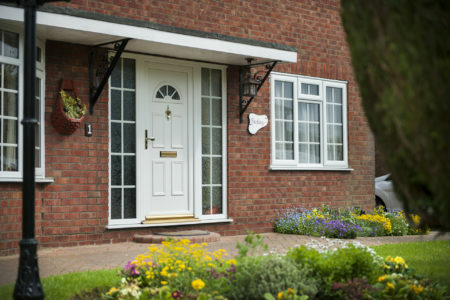 If you happen to live in an area of high crime rate or if you are simple just security-minded, choosing a strong and robust front door can be the first step to securing your property. 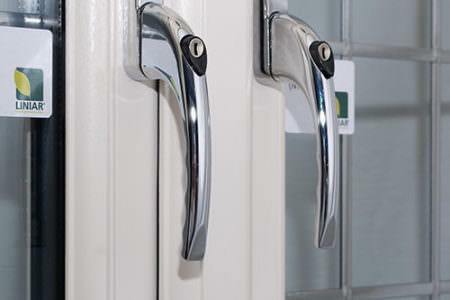 uPVC residential doors come with high security locks as standard, with the option for an additional security upgrade. 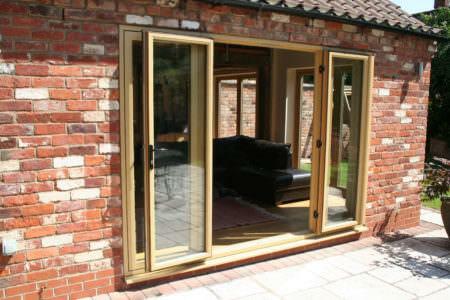 Their strong frames combined with multi-point locking systems means that they are incredibly secure. Unlike standard locks, multi-point locks secure your door at several positions on the framework preventing unauthorized access. Combine high security locks with a spy hole for complete peace of mind. 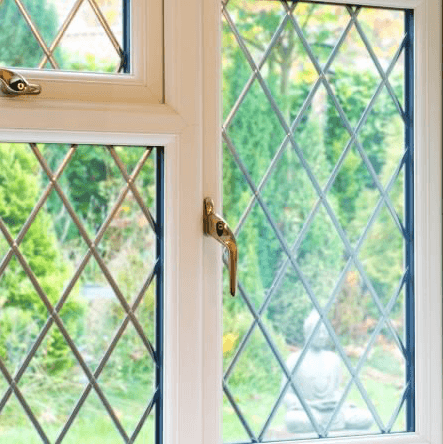 Why Choose A uPVC Front Door? 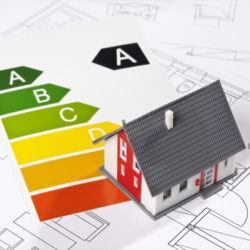 There are several benefits to choosing a modern uPVC front door over a standard door, the main advantages being a warmer, secure and energy efficient home. 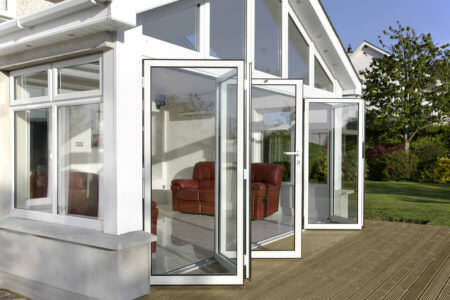 uPVC is easy to clean and will never rot, rust or peel. 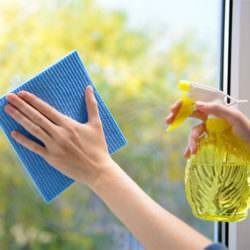 If you choose a double glazed design then it even comes with the option of self-cleaning glass. 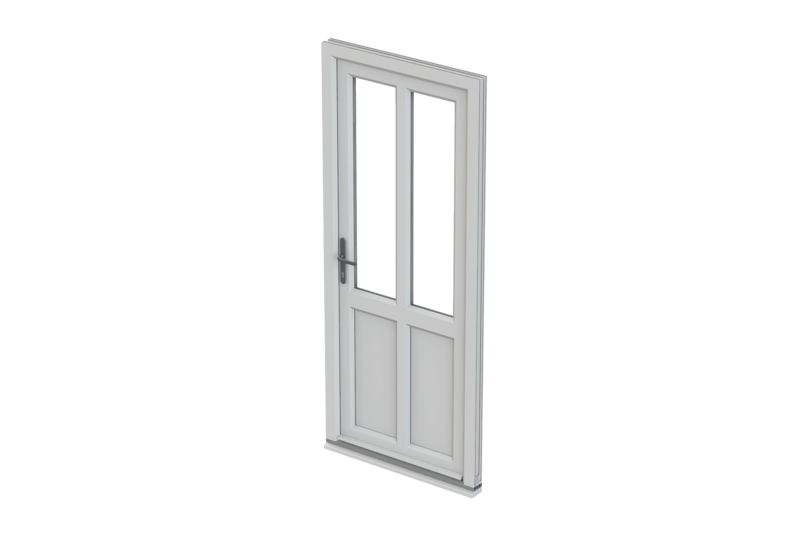 Highly durable, uPVC doors will give you a lifetime of high performance and great looks. 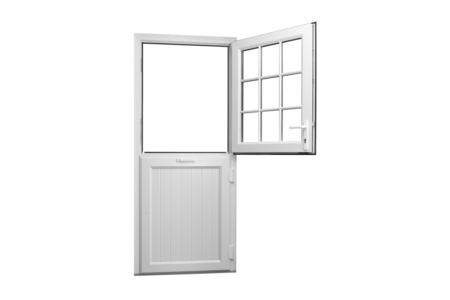 A uPVC entrance door has many features which ensure your home stays quieter. 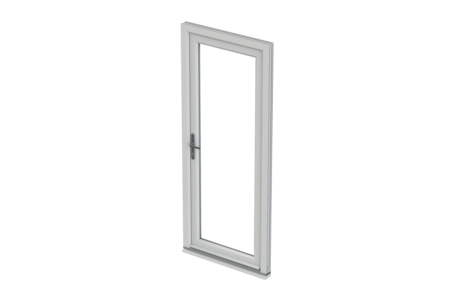 It can vary between suppliers but usually a uPVC door has as standard a weatherproof seal, a multi-chambered profile and 20mm argon filed gap. 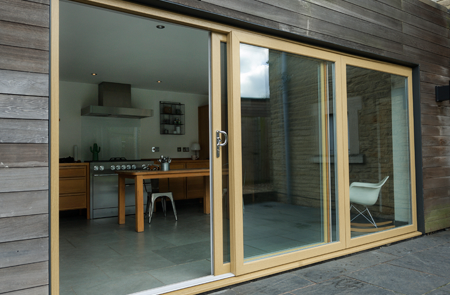 uPVC front doors are designed to reduce heat loss within the home. 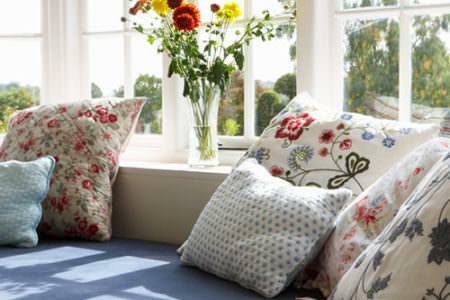 An energy efficient uPVC profile keeps your property completely draught free. 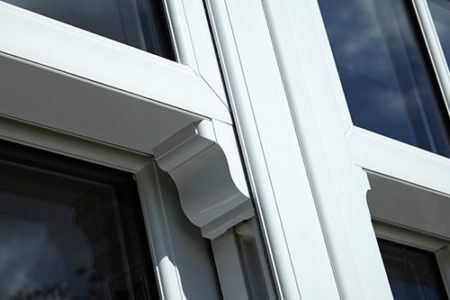 Compared to timber front doors, uPVC doors are more cost effective in terms of design and installment – not to mention the endless benefits you receive over time. 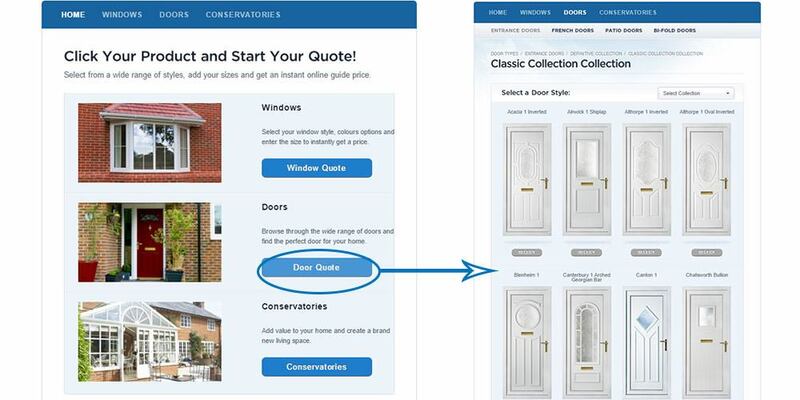 Double Glazing On The Web provides you with a unique online door quote, tailored to your specifications in terms of design. 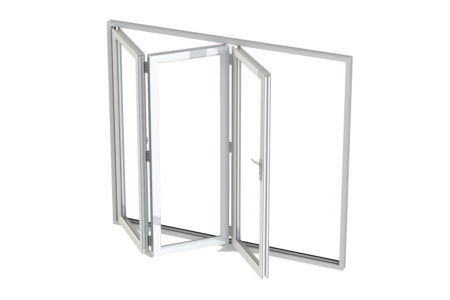 You can browse hundreds of double glazed door styles and get an instant price. 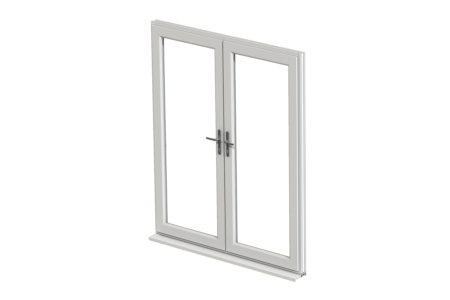 Click here to start your free double glazed door quote.